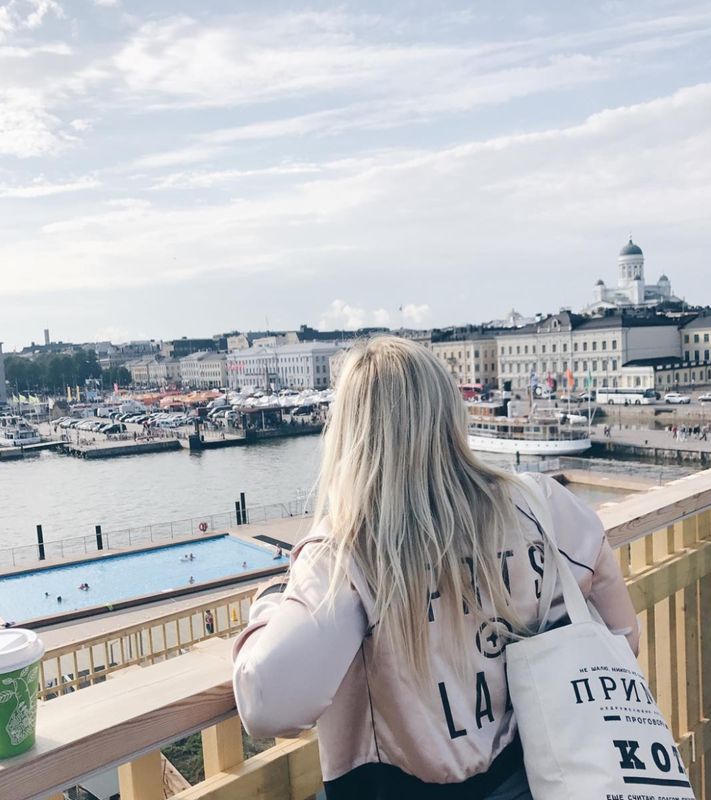 As soon as we landed in Finland, we were swept off our feet into a magical fairy tale which has left me forever dreaming of the streets of Helsinki. Helsinki. Four Days. Three Nights. Delicious Food. Even better beer. and EVEN better gin. Here's an account of my AMAZING experience at Radisson Blu Seaside Helsinki. To begin the journey, we checked into the beautiful Radisson Blu Helsinki: Seaside. This newly renovated hotel offered an urban feel with stunning views of the marina. Not to mention, this was the biggest hotel room I have ever seen in Europe. TWO KING SIZE BEDS! And, this stunning bathtub...(Which I of course had to take a photo in as soon as I arrived). Sooo needless to say, I would highly recommend, if you're looking for a great, convenient and modern place to stay in Helsinki, this is the one! It's about a 10 minute walk to the city centre along the cutest street in the city. Little to no noise, so you can get your well needed rest! Brand new, clean, modern design. Bar and restaurant in the hotel, so you're never to far from a delicious meal.